A classic Claddagh sand ceremony set for your Irish wedding! This design is one of my best sellers. 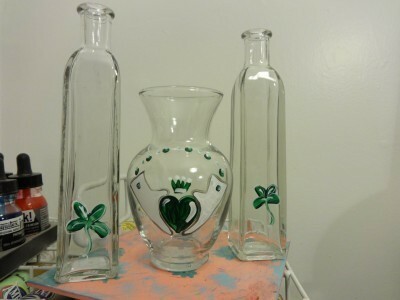 It features a Claddagh on the center jar and shamrocks on the side bottles. All three INCLUDE CORKS. I can personalize with names and date as you like. Also, don't forget your toast! I offer toast flutes, pints or shots in this design for some fun options to enjoy your first toast. 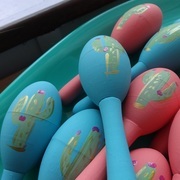 Some couples chose shot glasses and used them as cake toppers. Contact me for shots, toast flutes or pints.